I always drink tea in the morning when I have my breakfast. I am not the guy that have traditional breakfast every morning – that is eating bread, eggs with cheese, butter or jam. I enjoy eating a different type of food in the morning. In Malaysia and Singapore, I can enjoy having Chinese, Malay, Indian or Continental breakfast – so my breakfast can consists of Indian roti prata, Malay nasi lemak, Chinese century egg porridge or simply toast bread with kaya. One thing will always be consistent; and that is I will always have a cup of English tea every morning. A good cup of tea can really lift up my spirit for the day. Most of the time when we think of tea, we would think Lipton or Earl Grey tea. Both are good quality tea which I have them in my home. Recently while I was at the supermarket doing my shopping, I notice a tea which I have not tried before and it is the Boh Camerion Tea. So I decided to buy this pack of tea which consists of 25 tea bags; and each tea bag is packed individually in a sealed foil which will preserve the freshness of each tea bag. 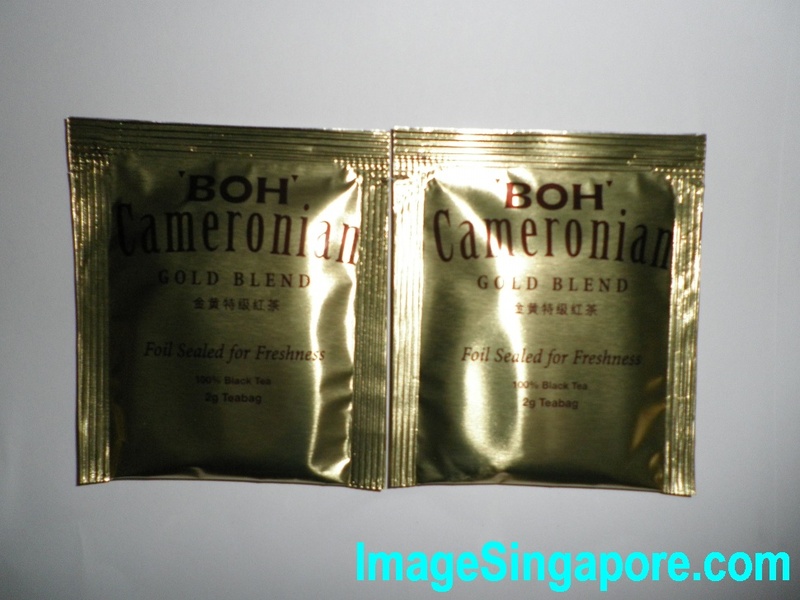 I have drank the normal Boh Cameron Highlands tea before and it is the tea that I drank when I was young. As I grew older and hopefully wiser, I switched to Lipton adn Earl Grey tea. On the box of the Boh Camerion Tea it states that “only the tender shoots of the Manipuri and Rajghur jats are picked to ensure excellence of quality.” I have no idea what this is all about but the real test is the taste. So I took out one foil, cut it open and took out the tea bag. I placed the tea bag close to my nose and smell it – it has the fragrance and fresh smell. I put the tea bag in a cup and add hot boiling water and let it brew for about 5 minutes. I did not add any sugar or milk in it as that will mask or change the taste and smell of the tea. 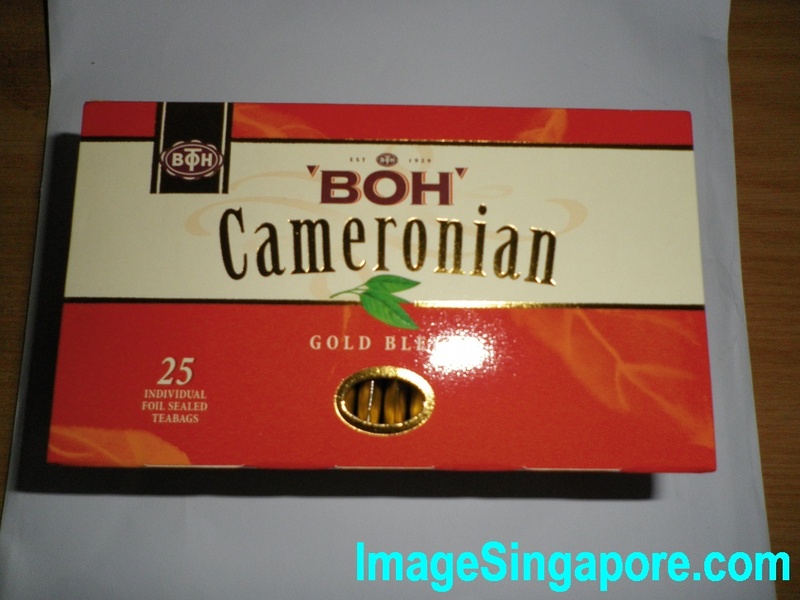 My verdict after drinking it is that the Boh Camerion Tea is a great tea. It has a very nice aroma and smooth lingering feeling in my mouth. Then I add one sachet of sugar to the tea and the taste of Boh Camerion Tea is seems to be enhanced by this sachet of sugar. I am a little surprised that Malaysia can produce such wonderful tea. The Boh Camerion Tea cost more and I think it is worth the price. It is a premium tea which I enjoy drinking and will definitely be a part of my morning cup of tea in the future.